Can anyone please tell me how to configure the view traffic option localsettings.properties file. I know how to do it in GUI. but i have to update in localsettings.properties when execute the script from command line. 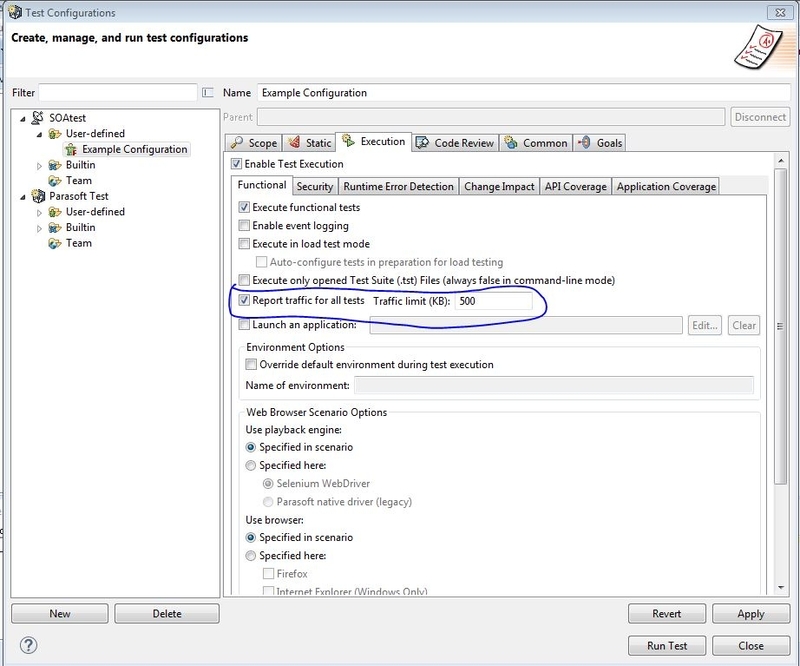 And also disable API coverage option. Can you be more clear on which option you are trying to configure? 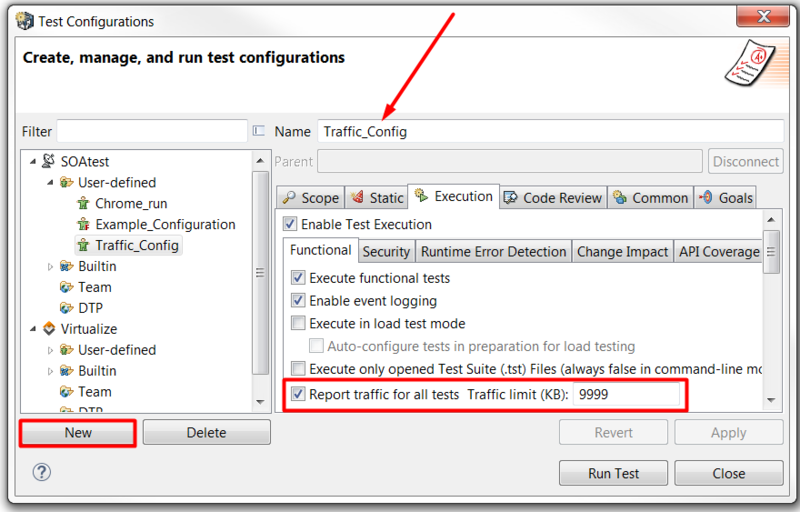 Are you talking about the option to "Report traffic for all tests" in the test configurations? Or are you thinking of something else? Correct. I can do the same in my local machine. But my issue, the parasoft installed in linux server and I have to execute the scripts from Jenkins on linux server. Since I cannot modify the changes on GUI, i have to do my changes via localsettings.properties file only..
You must configure your test configuration using the UI. 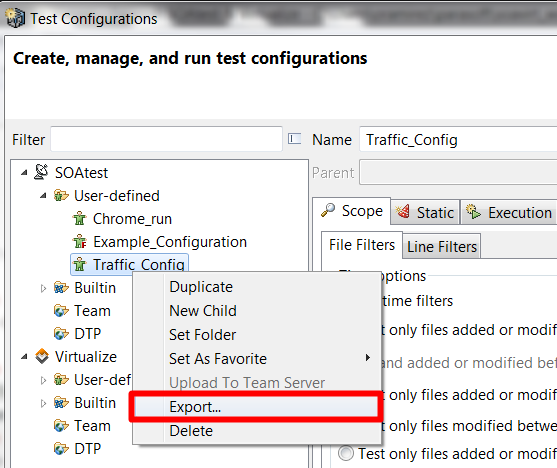 Next, you can export your Test Configuration so it can be shared. You can export it as a file, for example, then use a file path for the -config argument. I recommend that you gain access to the remote machine and add a new run-configuration in the UI. 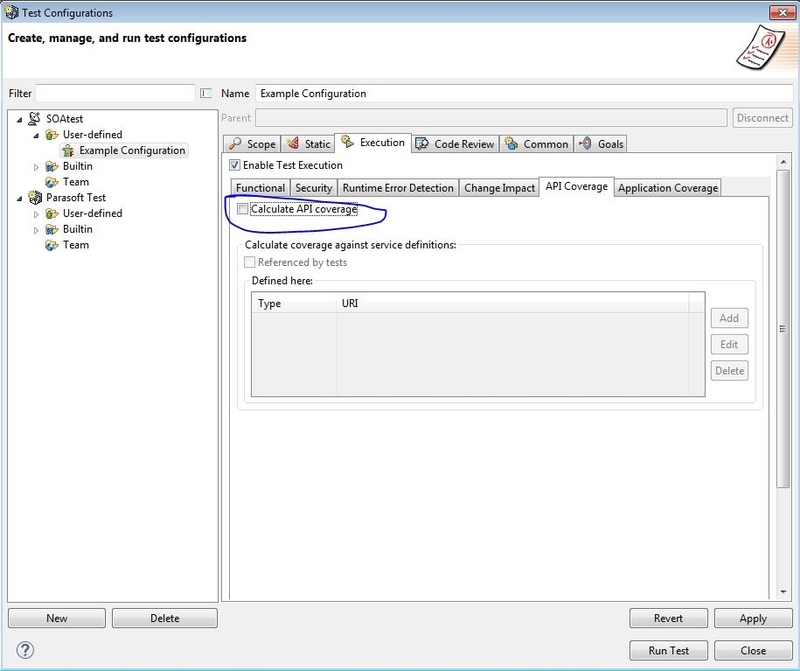 You may also choose to export your test-configuration into a .properties file (different from a localsettings.properties file) and point to it in your -config argument as suggested by @benken_parasoft.